Patterned after an original from the jungles of Borneo, this design was added to the Winkler Knives II Collection at the request of a Tier 1 SOF Team. 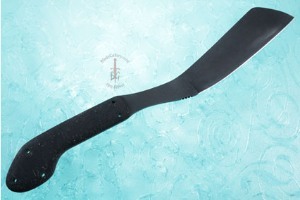 The full tang increases overall durability. 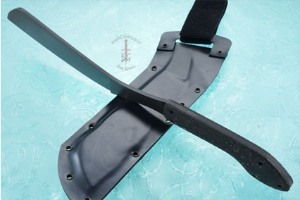 The rubber rear handle swell has a downward sweep which provides a secure indexed grip. 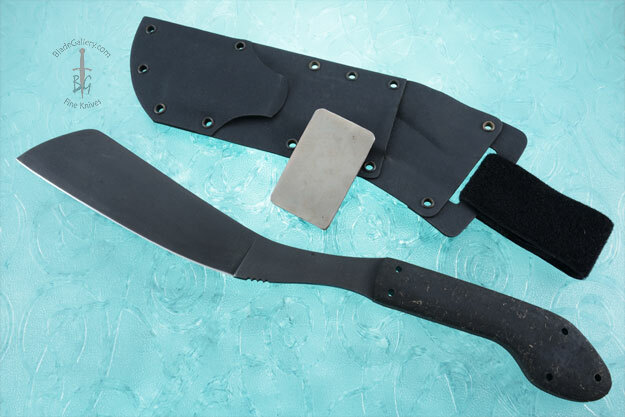 The 80CRV2 carbon steel blade measures 12" from the front of the steel ferrule, with an 8-1/2 inch cutting edge. 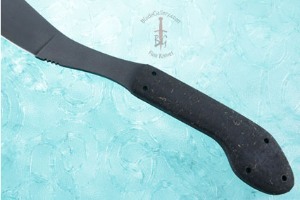 The blade is coated with a non-glare Caswell finish. The kydex sheath has a pocket for the included rubber mounted DMT diamond sharpening stone.